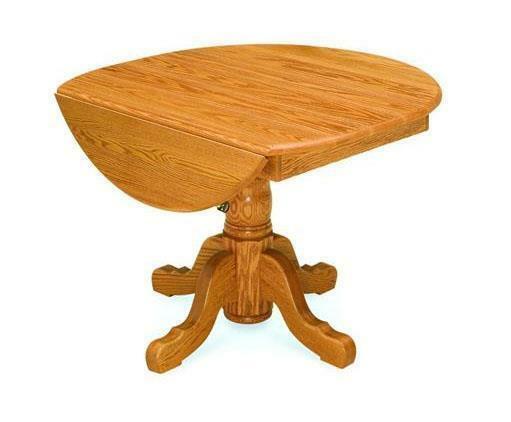 A graceful solid wood space saver, the Amish Pedestal Drop Leaf Table has an elegant base topped with a round drop leaf table top. All solid wood. All Amish made. And there's more. Custom options let you build this drop leaf table exactly the way you want it. We can't wait to connect you with your new Amish furniture. Click on options you want for your new table, or for more personal service, we are just an email or phone call away. Thank you for shopping DutchCrafters for your new dining table.